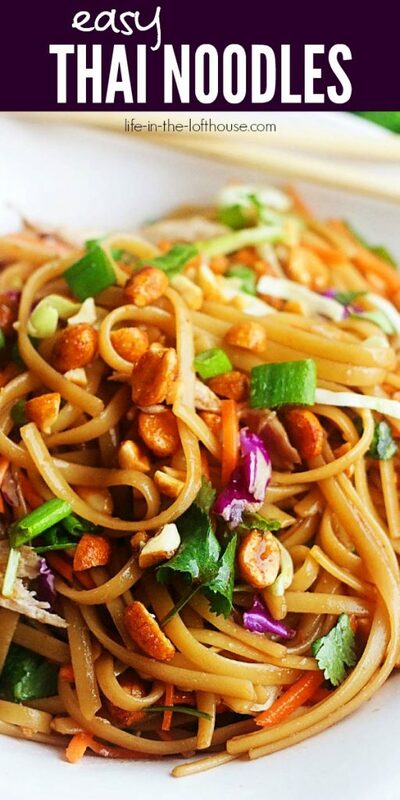 Noodles tossed in a sweet and slightly spicy sauce combined with fresh veggies and honey roasted peanuts. 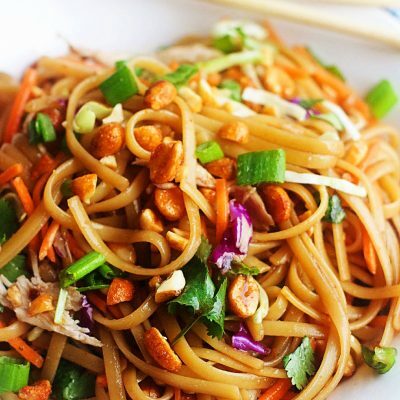 Dinners don’t get much easier than these Easy Thai Noodles. Hi everyone! 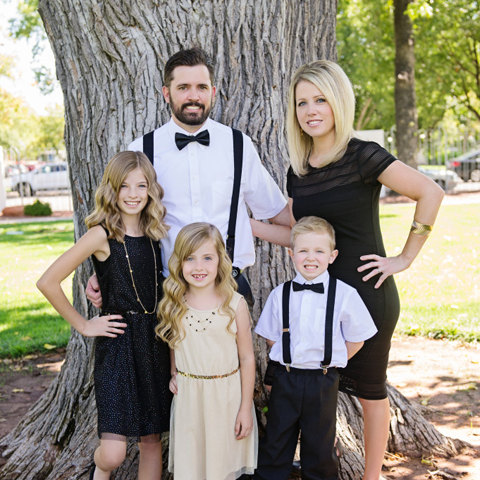 It’s Jodi from 5 Boys Baker and I today I’m sharing this Easy Thai Noodles recipe that is a simple, delicious meal that can easily be done in about 20 minutes. 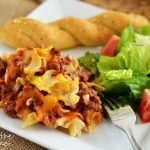 I don’t know about you, but I am a huge fan of quick and delicious meals. 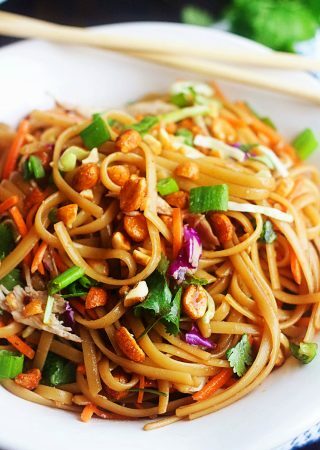 Noodles tossed in a sweet and slightly spicy sauce combined with fresh veggies and honey roasted peanuts. 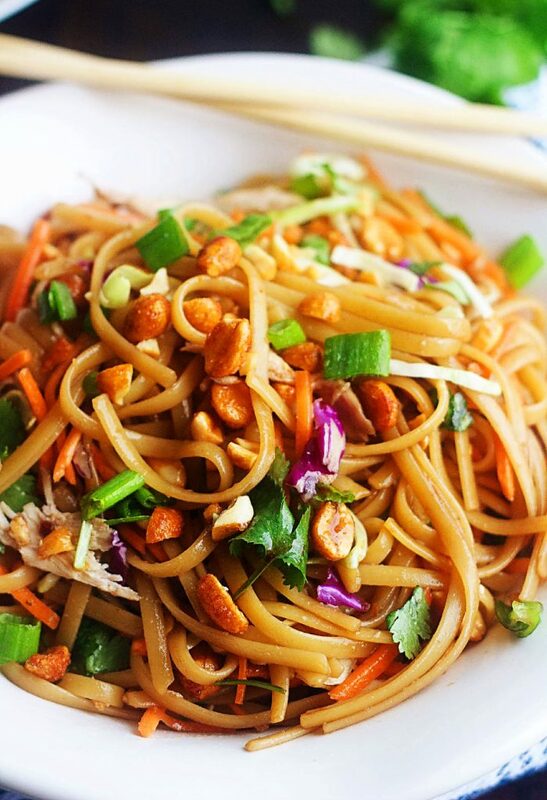 Dinners don’t get much easier than these Easy Thai Noodles. I’m not sure how truly authentic this Thai-inspired dish is, but I am sure that is super simple and delicious and gets devoured whenever I make it. I’ve mentioned before that I have a couple picky eaters around my house (ahem Parker & Braydon), so when I can get them to eat and like something different I feel like I’ve conquered the world. Parker devoured these noodles and even asked for seconds. 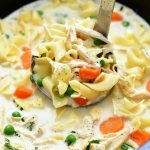 Adding chicken to this dish is purely optional, but I always put it in. 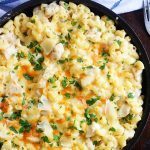 A Rotisserie chicken is my go-to for this, but grilled chicken would be equally delicious. 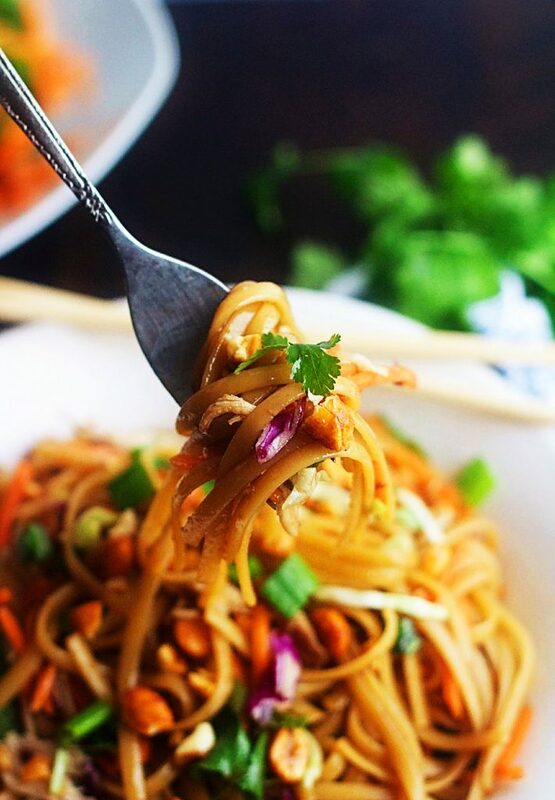 Want to try this Easy Thai Noodles recipe? PIN IT to your favorite Pinterest board! 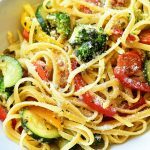 Find me on Pinterest for more great recipe ideas! I love the crunch of the fresh veggies and the honey roasted peanuts. I saw several similar recipes online that called for unsalted peanuts, but trust me on this one and use honey roasted peanuts. You will be so glad you did. Everything about this is so good. I hope you give this a try. Cook linguini noodles according to package instructions. Drain when done cooking. 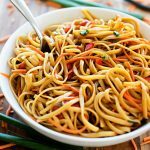 While noodles are cooking whisk together in a small bowl the soy sauce, honey, sesame oil, garlic and red pepper flakes. Serve warm or cold and garnish with remaining cilantro, green onions and chopped peanuts. 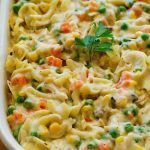 This recipe makes about 3 to 4 servings (not huge portions). You can easily double this if you want more. Store any leftovers in the refrigerator and eat cold or reheat in the microwave and garnish with desired toppings. Two TABLESPOONS of sesame oil? Really? Seems like alot.